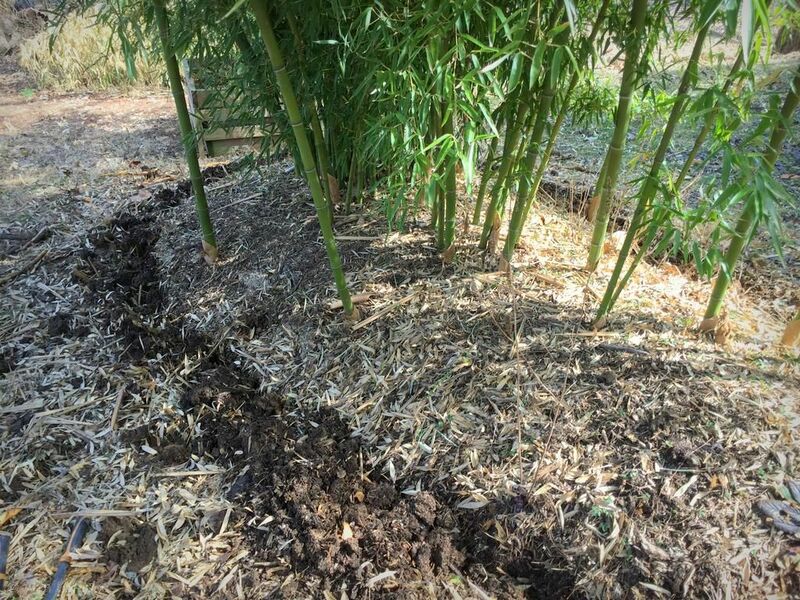 Yesterday I started talking about rhizome pruning, arguably the best way to control running bamboos. Today a bit more about this, starting with the finished product! This is my Phyllostachys atrovaginata grove newly pruned, the trench visible as a loop of plowed earth surrounding the plant. Bamboo allowed inside the loop, not allowed outside! 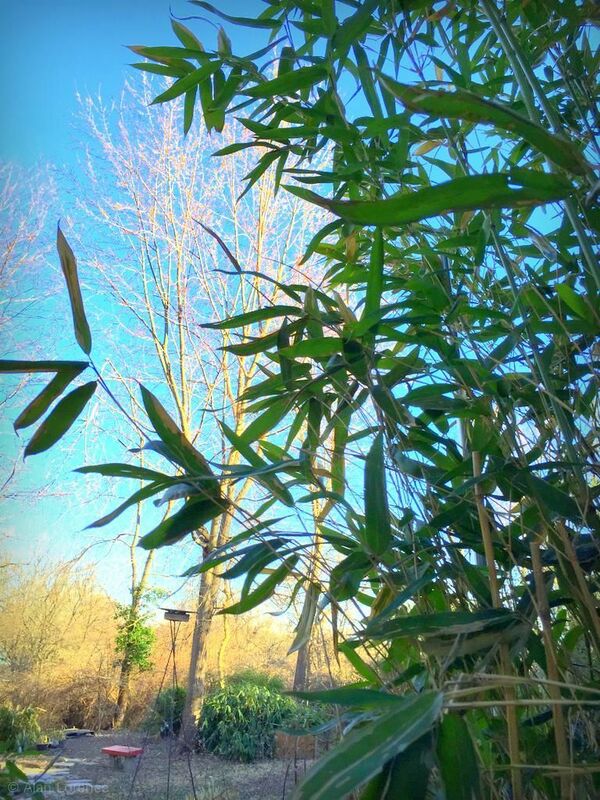 The next bamboo on the south property line -- the one that's most in danger from bamboo escape because the plants seem to more readily migrate toward the sunnier, warmer south side -- is the Phyllostachys propinqua 'Beijing' in the back corner. This is my newest planting and is performing so well, sizing up quickly and staying quite upright. 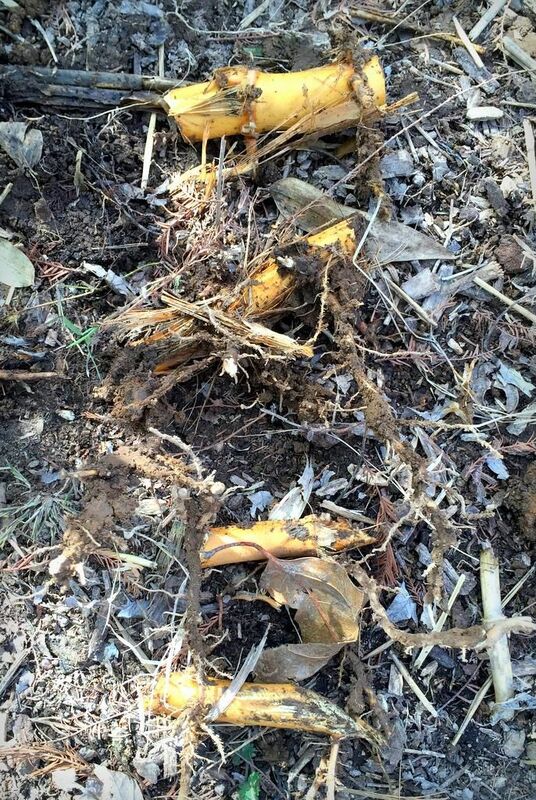 Drooping culms was the reason that I removed the Ph. glauca 'Yunzhu' that previously grew in this spot. 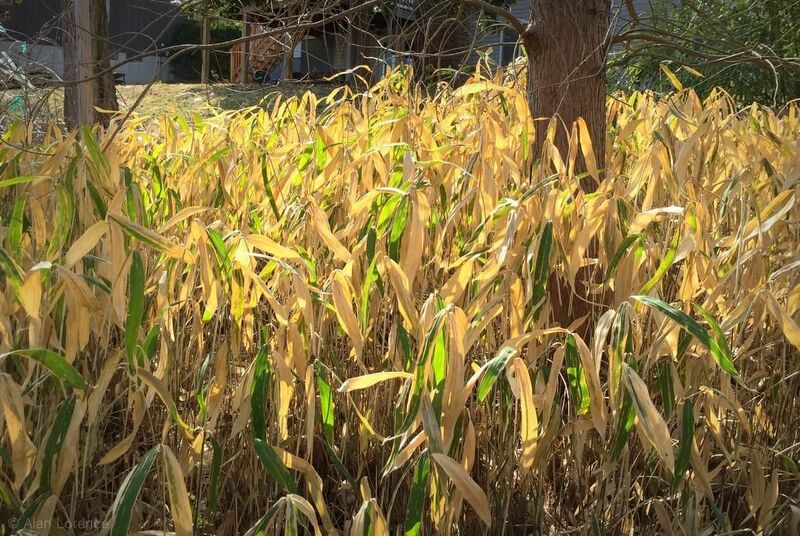 Can't have those culms hanging into the neighbor's yard! 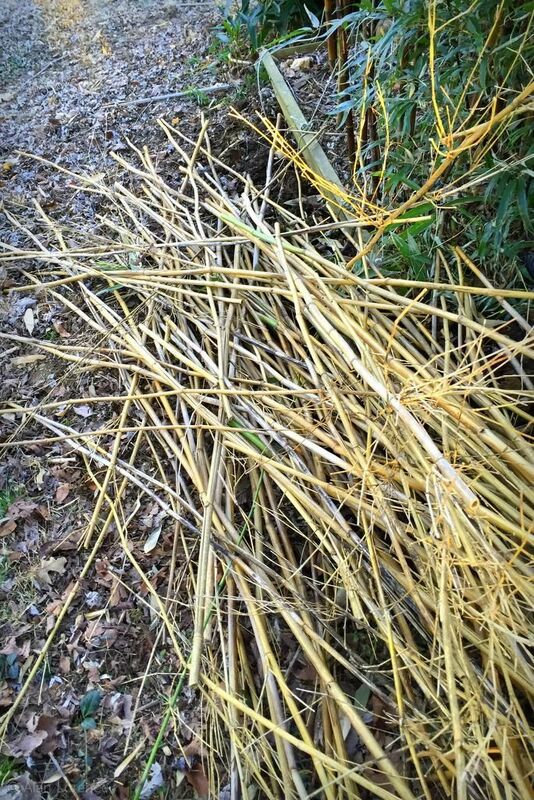 None of these will grow into a new plant regardless of what you might have heard about bamboo rhizomes. Viable divisions need good feeder roots and at least two viable node buds -- one to create a culm and one to create a new rhizome. These tiny sections might have a single bud but have a 95% or higher chance of dying, even if potted and babied. 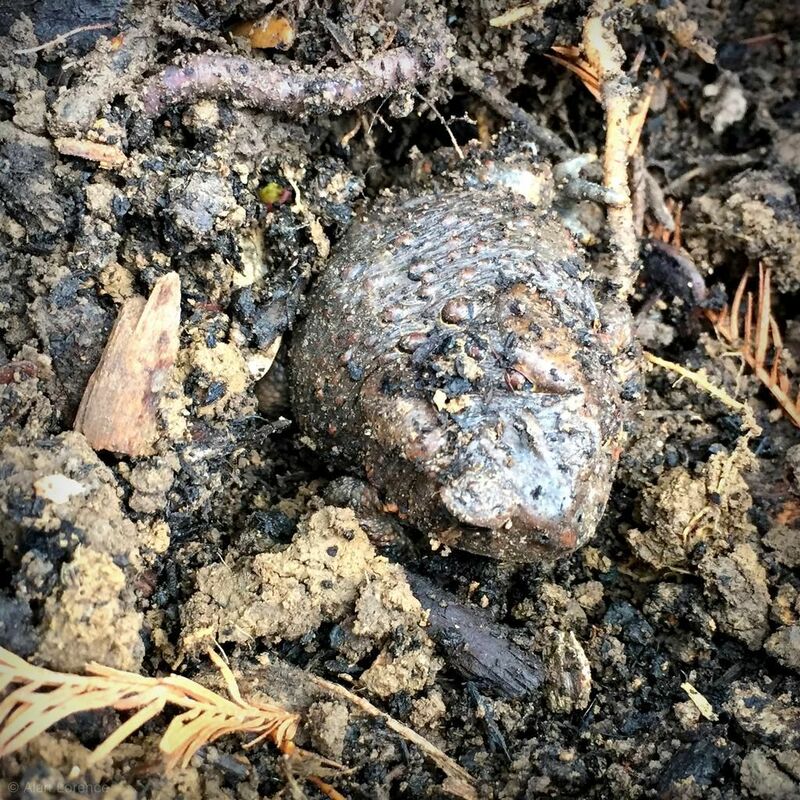 It's a toad that had buried itself in the friable soil to hibernate for the winter. I missed him by a couple of inches! 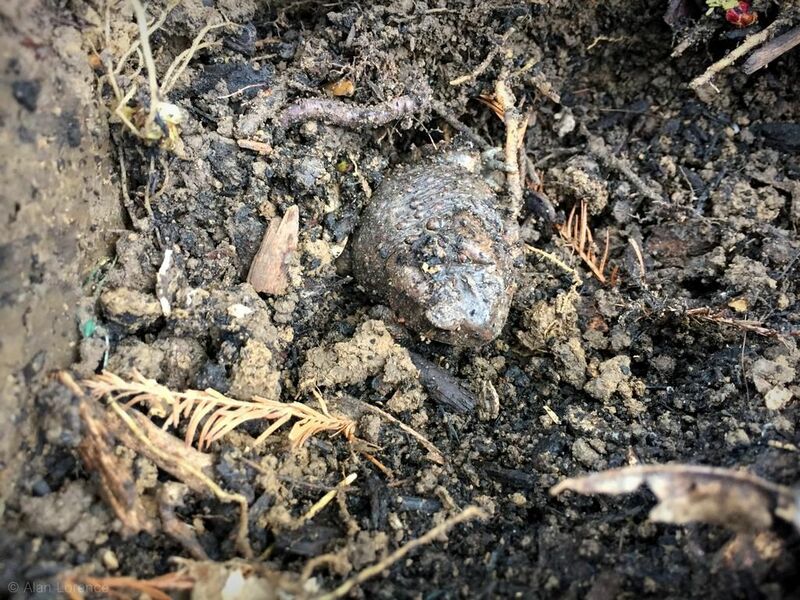 Discovering it really shook me up as I would have easily chopped him in two with the sharp mattock. Close call but thankfully no harm done. That wrapped up the bamboo work for Sunday. 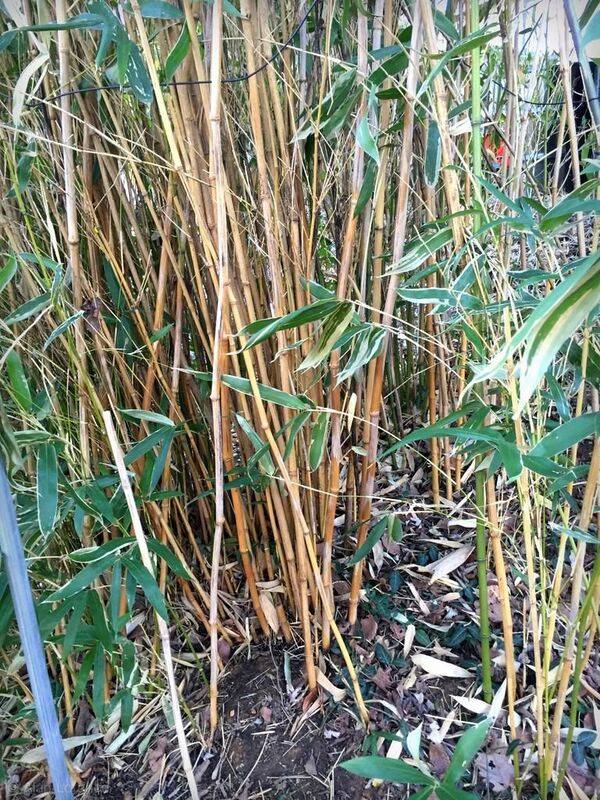 Yesterday (Monday) I moved to the north property line and pruned the black bamboo (Phyllostachys nigra) -- not shown here -- and then moved on to the Semiarundinaria fastuosa 'Viridis'. I'm hoping it will add quite a few new culms after our mild winter. Can't wait for shooting season to start! 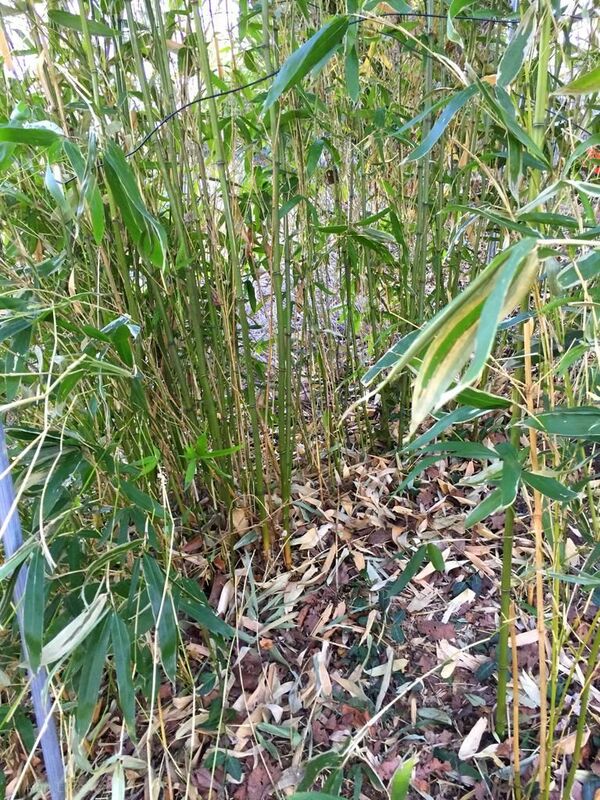 Why did running bamboo have to be "my" plant? There seem to be so many more of them when it's time for rhizome pruning! You'll never be at a loss for plant stakes. Can you move today? You got enough of a workout to last you all week! 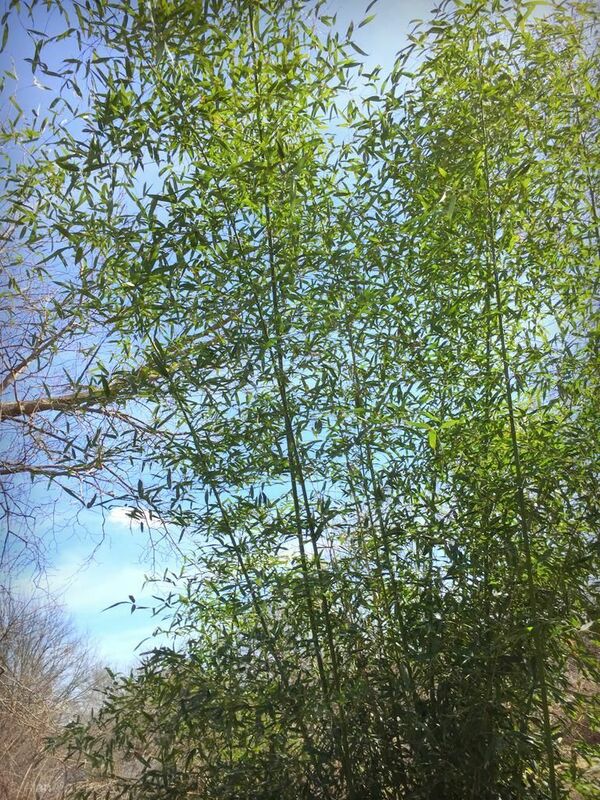 I can't wait to see your bamboo in its peak glory later in the summer. Renee: it's not really more work than other plants, it's just concentrated effort instead of being spread out over the year.